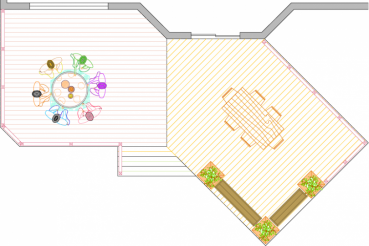 This great deck plan is for a massive 504 sq. 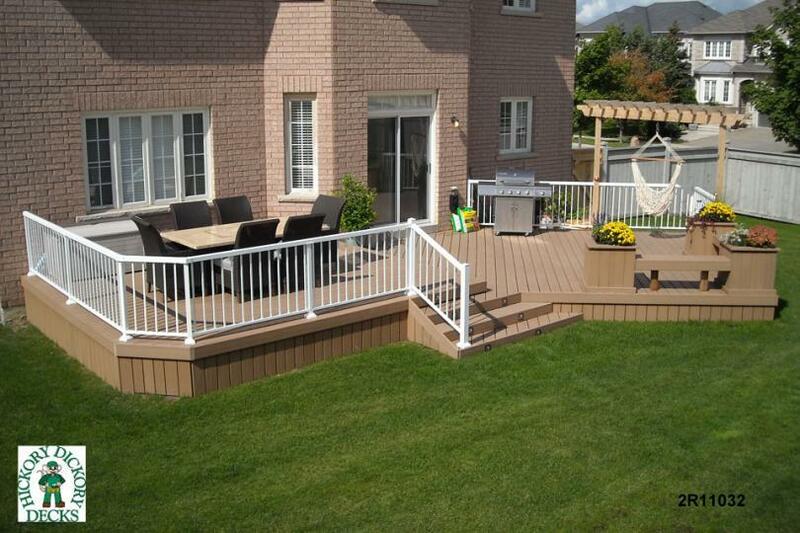 ft. two level deck! 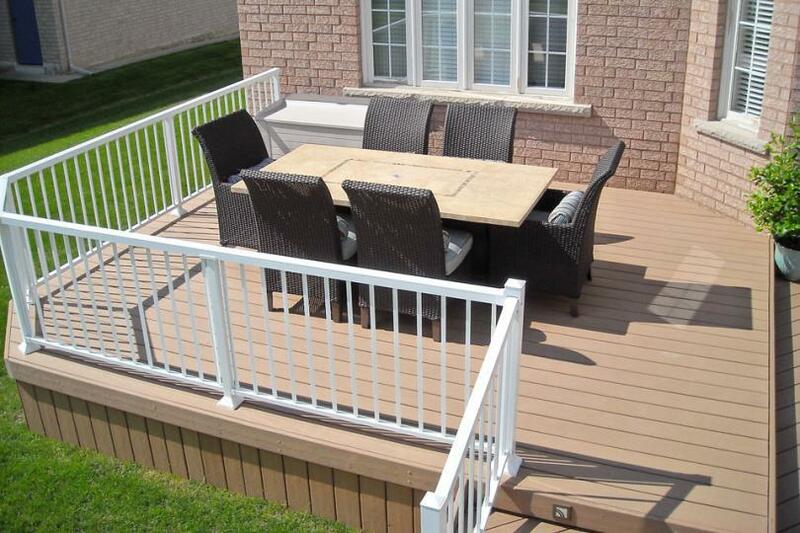 The upper deck has plenty of room for a large table. 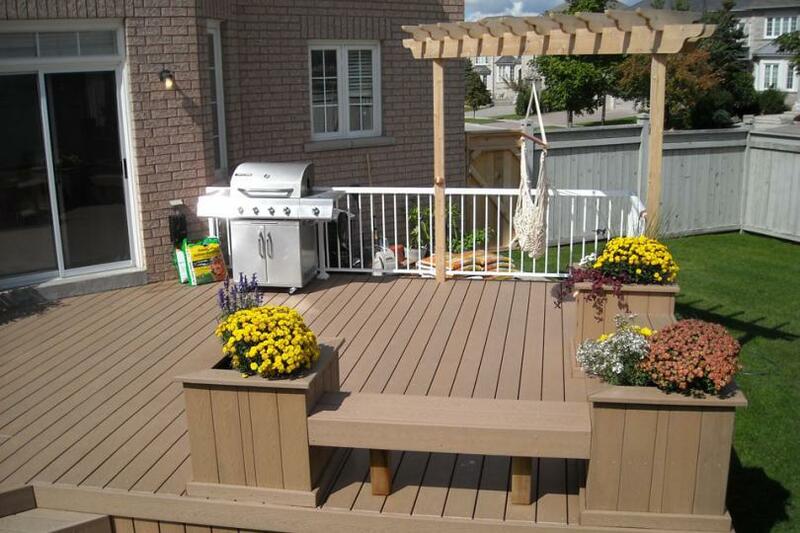 The lower deck is even larger and features integrated benches and planter boxes. There's room for a barbecue, additional tables, and lounge chairs here. 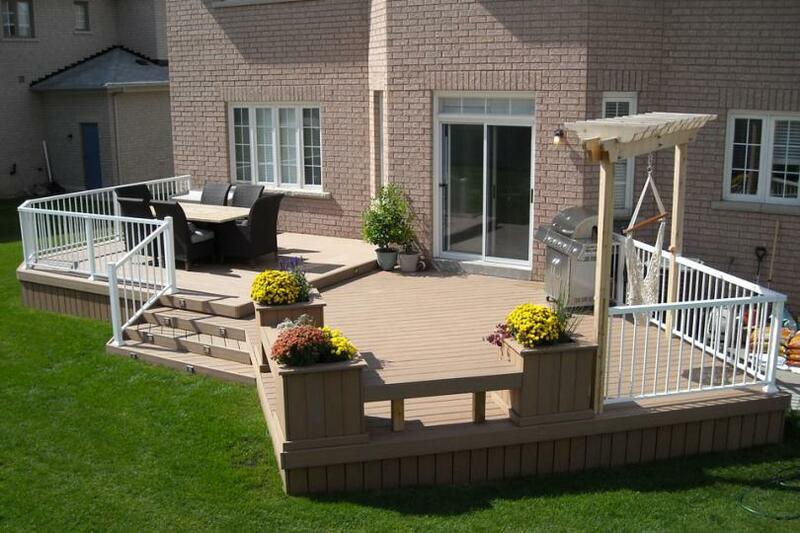 There's more than enough room on this deck to have a party with lots of seating space for everyone!